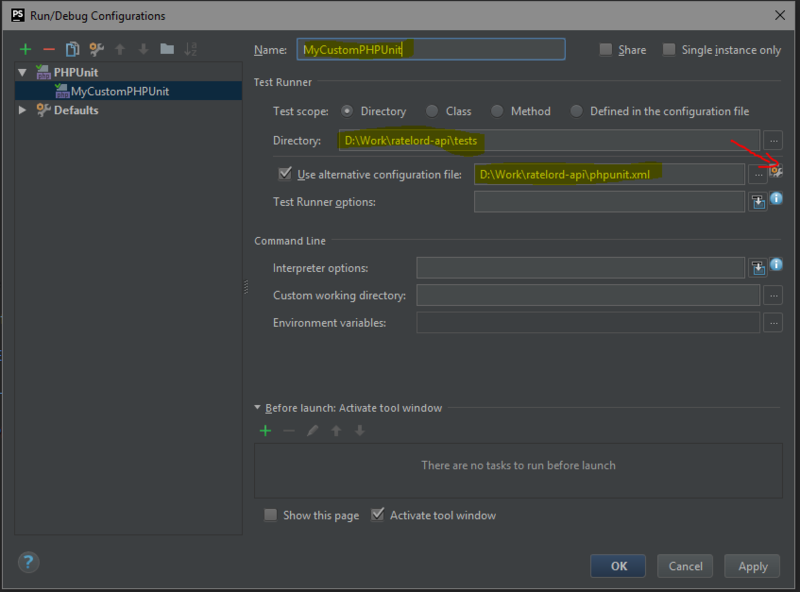 This article is showing step by step how to set up Xdebug in PHPStorm. 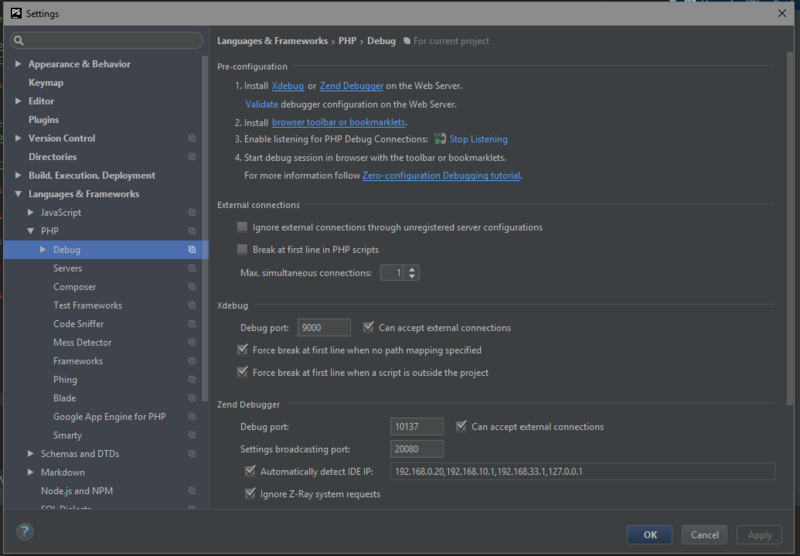 Open PHPStorm and go to File -> Settings -> Languages & Frameworks -> PHP -> Debug. Click Start on ‘Enable listening for PHP Debug Connections’. Click the + sign on the left side of the screen. Select Directory as the Test Scope. Set the path to the /tests directory. 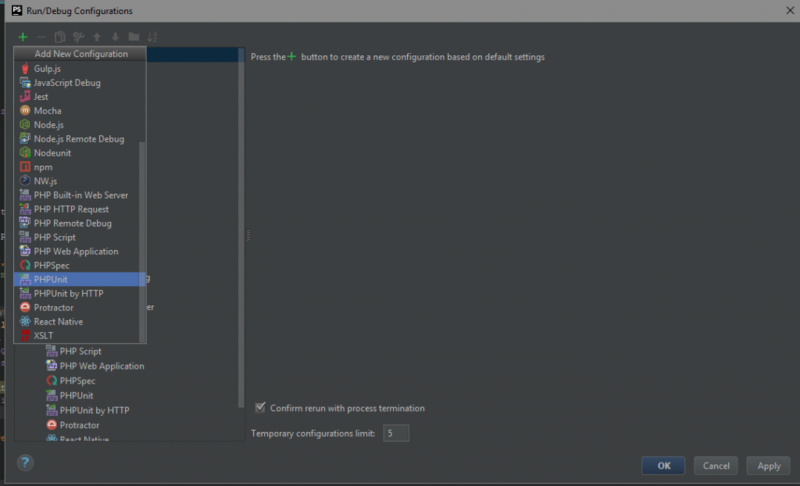 Tick the box to Use alternative configuration file. Set the path to your configuration file, phpunit.xml in project’s case. Click on the settings button, pointed out with a red line in the picture below. Once you clicked that button, another dialog box will open. There, you set up how to load the test framework. For this project, I use the Composer autoloader. The path to the autoloader script is C:\Your\Project\vendor\autoload.php. Click Apply and OK then the same in the other dialog box.